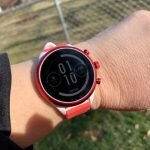 I’m always on the lookout for budget-friendly fitness trackers and the Diggro DB-05 (View on Walmart) caught my eye. It has a built-in GPS, barometer, thermometer, and altimeter for well less than $100. 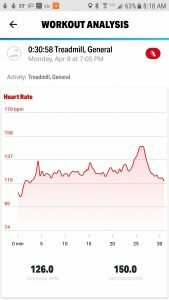 The DB-05 also supports the tracking of a number of sports activities, has continuous heart rate monitoring, sleep tracking, and displays more data than most budget fitness trackers do during workouts. 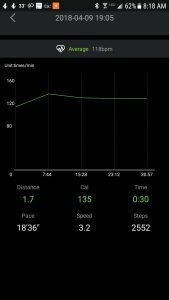 Usually with budget fitness trackers I can expect step tracking to be rather primitive in that they miss a lot of short walks of 20 steps or less but that’s not the case with the Diggro DB-05. It is tracking my steps on par with the Garmin Fenix 5s. In my tests the step counting is 90-92% accurate. Those were tests in which I walked exactly 100 steps and compared the results. 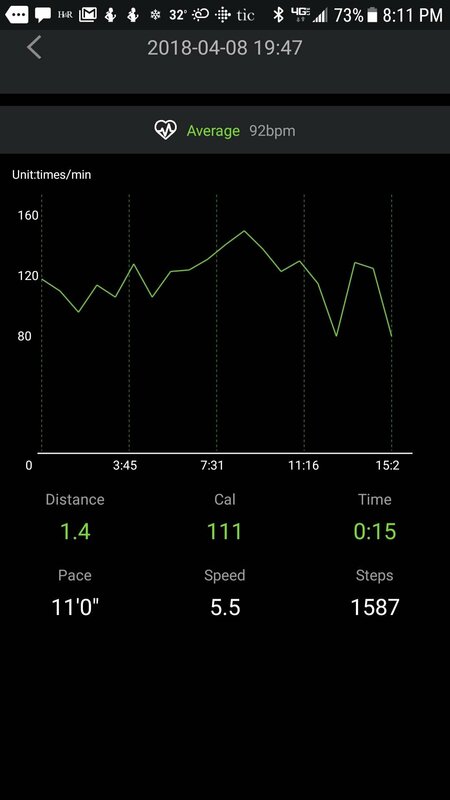 It doesn’t pick up false steps when I’m riding in a car but like most fitness trackers it misses most steps when I’m pushing a shopping cart since it uses arm movements to detect steps. The Diggro DB-05 has performed very well in the heart rate tests I have conducted against a chest HR strap (Wahoo TICKR) and the Garmin Fenix 5s. 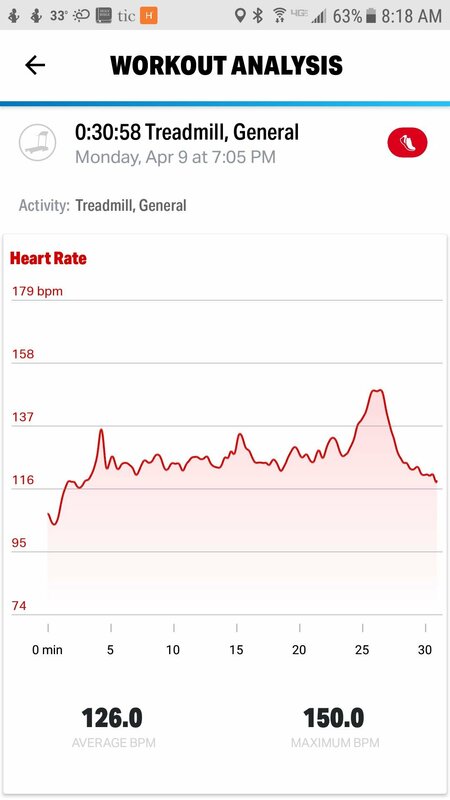 Occasionally, it did register low and high numbers but quickly corrected itself during workouts and was usually estimating my heart rate within 1-3 beats of the Wahoo TICKR or was exactly the same. The watch needs to be worn snug and in the right location for the best accuracy. That made all the difference. If I noticed that the HR was too low, I re-positioned the watch on my wrist or tightened the strap and that always did the trick. 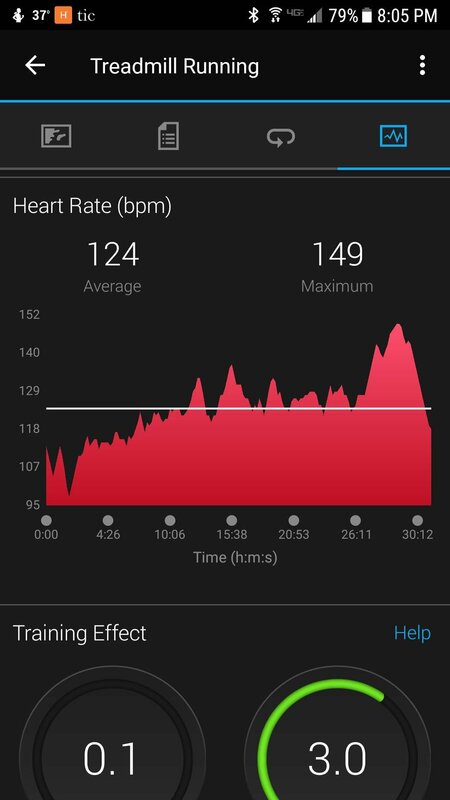 However, those times when the sensor would estimate my HR lower affected the average HR during workouts as you can see below in these two tests. Most of the time the HR on the DB-05 was very close but those little erratic dips skewed the data. 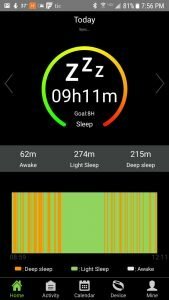 The sleep tracking on the DB-05 is basic. 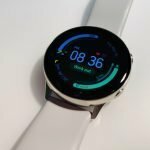 It did detect moments of deep sleep and light sleep but wasn’t terribly accurate on the time that fell asleep or woke up. 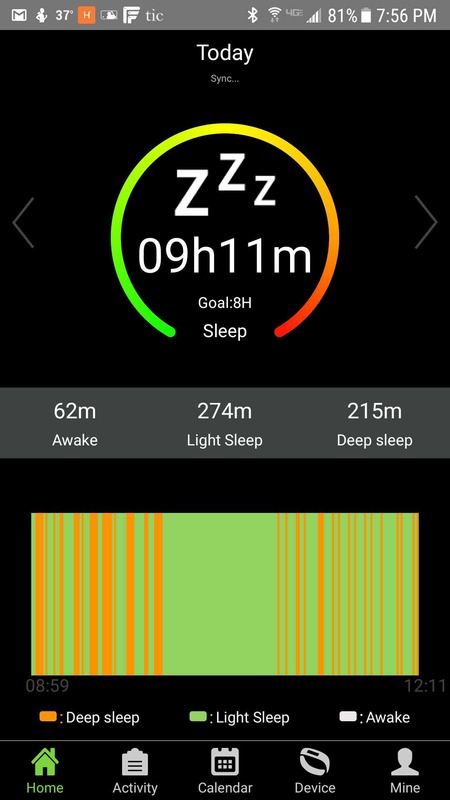 It wasn’t bad at tracking my sleep but I’ve seen better results from other watches. 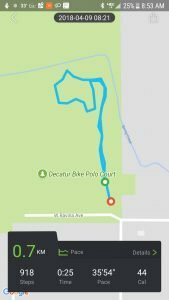 Above are the results from my first GPS test. You might have seen part of this in one of the videos I uploaded to YouTube. It was a snowy hike through the woods. 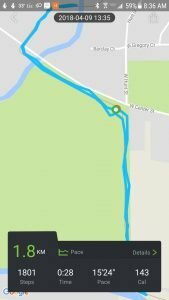 I compared the distance estimate and path versus MapMyHike which is an app on my phone. So this was a GPS test between my phone’s built-in GPS (Samsung Galaxy S7) vs. the DB-05 built-in GPS. 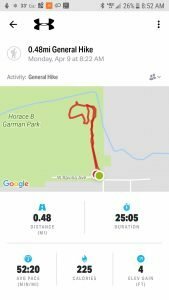 Note that the distance estimate for MapMyHike is in miles and the DB-05’s estimate is in Km. 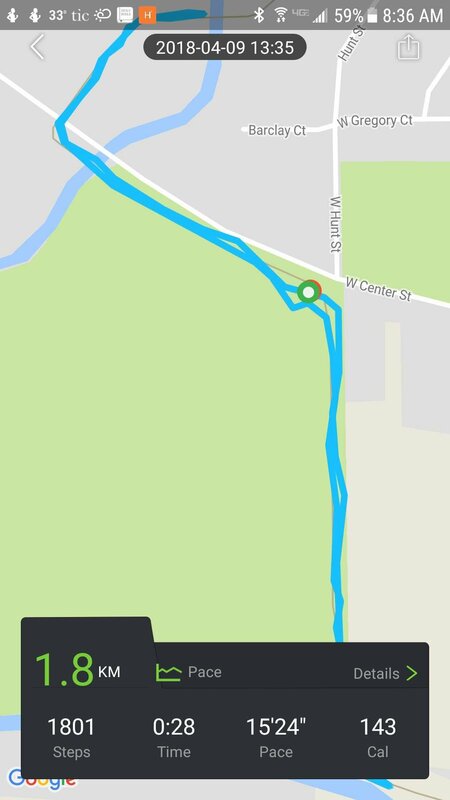 As you can see the paths are very similar and the distance estimate, after converting miles to kilometers is also fairly close. The Diggro estimated 0.7 km to .77 km on my phone. 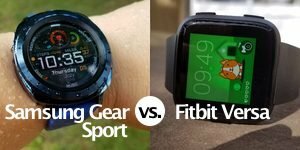 The second test shown above was the DB-05 vs the Garmin Fenix 5s. The Fenix estimated a distance of 1.17 miles (1.88 km) to the nearly identical estimate of the DB-O5 of 1.8 km. 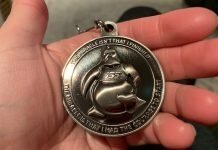 So, overall I was very pleased with the GPS performance of the Diggro DB-05. 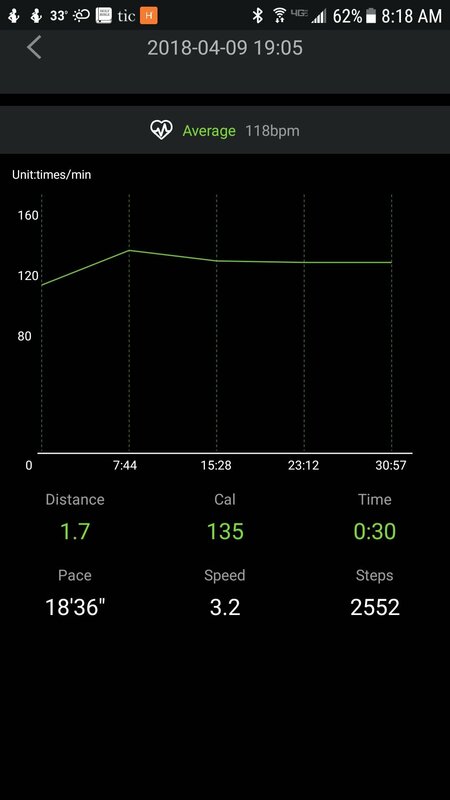 The DB-05 uses HPlus for its mobile app and while it does some things good such as displaying my GPS paths on a map after the activity, step tracking, daily HR tracking, it doesn’t seem to be fully communicating with the DB-05. For instance, I selected in the app to change from metric to imperial but it didn’t change anything on the watch. That’s probably my biggest gripe and I’m not sure if that is the fault of the app or the watch but I wasn’t able to change to miles. The watch is able to change to 12-hr format for the time though which is great. Syncing was never a problem for me nor receiving notifications. 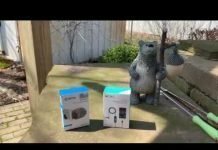 Bluetooth remained connected and reconnected when I came back into range of my phone. The Diggro DB-05 is a plastic lightweight watch but it has a nice look and size to it. You operate the watch using the two buttons on the right side and a touch sensor on the top of the screen. Once you got a hang of it, it’s very easy to navigate through the various screens and options. The silicone adjustable strap (20mm wide) is comfortable and features quick release pins for easy changing. The color OLED display is easily readable indoors but hard to see outdoors. The watch does have three different brightness levels but when I changed the brightness level, there wasn’t any difference. I don’t know if I got a defective watch but it is supposed to be readable outdoors. So, it’s hard for me to make a judgement on that. Others have claimed it is bright enough for outdoor conditions. The elevation estimate using the altimeter had mixed results. At times it’s been within 100 feet of the actual elevation and other times it was off by quite a bit. 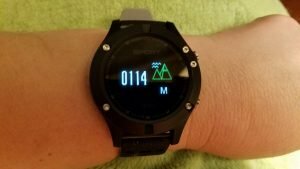 The air pressure sensor seemed off every time I tested it and the temperature sensor isn’t going to accurately measure ambient or outdoor temperatures unless you take the watch off your wrist for a few minutes, of course. If you need accurate measurements of barometric pressure this watch probably won’t satisfy your needs. Overall, the build quality of the watch is good for its price point. 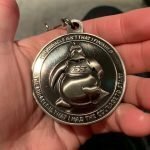 It’s not a stainless steel Fenix 5s but I don’t have any complaints on the build quality. The claim of 7-days for normal use seems to be living up to its claims. 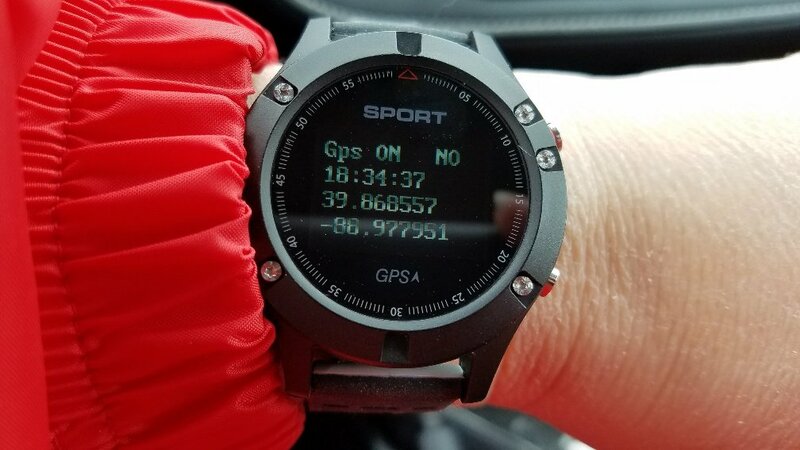 I haven’t had to charge the watch yet since I received it 5 days ago and that is with several workouts and using the GPS. So I’d give the battery a high grade since it lasts as long as advertised. So far, I am pleased with the performance of the Diggro DB-05. 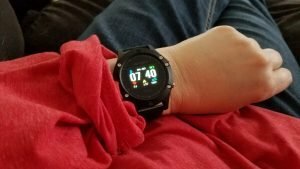 I never know how a watch is going to test out until I use it, especially budget fitness trackers but this one tested out well in most areas. 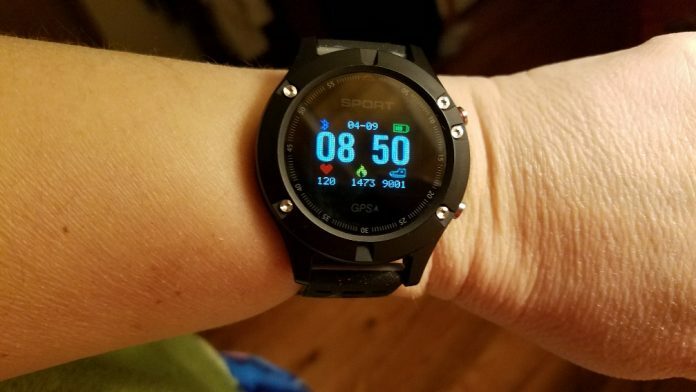 It’s strongest features are a better than average HR sensor, good step tracking, accurate GPS distance estimates, good battery life, and an overall nice look and weight. 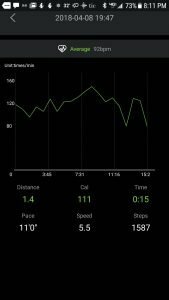 It also displays several live metrics on the watch during your activities. 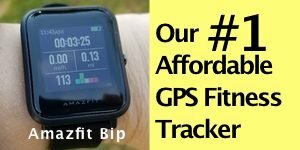 Most budget fitness trackers don’t. The only activity I wish it supported is stationary biking. 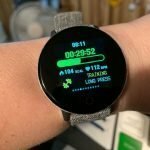 If I could change the screen brightness to a higher level for outdoors, I would be very confident in recommending the watch to anyone looking for a good budget GPS fitness tracker. The watch has a feature to increase screen brightness but it didn’t work on mine, so I’ll try to find out more about that from others. 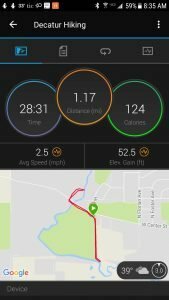 Other points I have to take off is due to the mobile app and not being able to change from the metric system to imperial. At least, at the time I’m reviewing this watch that is the case. It’s possible that future software updates may make this possible. 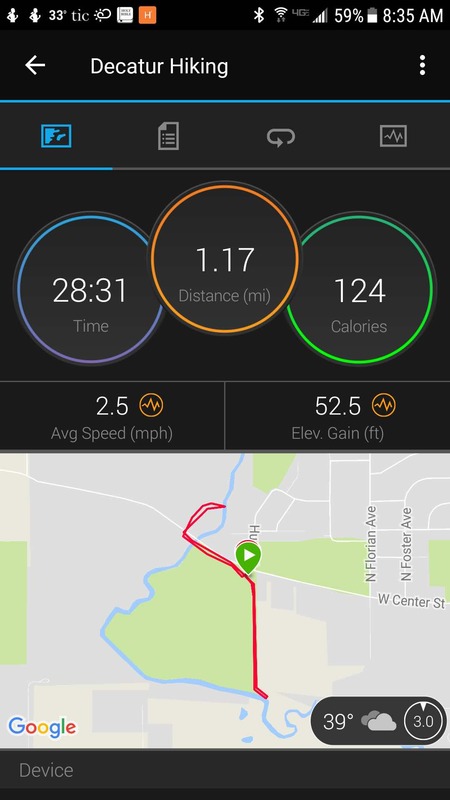 Still, the DB-05 is the best budget GPS fitness tracker I’ve tried yet. 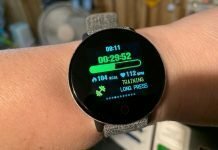 It’s definitely worth a look if you’re wanting a watch that can estimate your distance accurately and do a decent job with heart rate accuracy (and step tracking) as well. >>>View the Diggro DB-05 on Walmart for current price and availability. 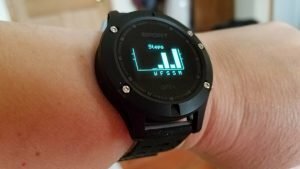 The Diggro DB-05 is a good inexpensive GPS watch with fitness tracking features. 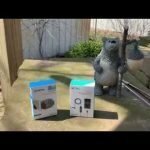 For the price, you're getting a lot for the money and most features work very well.